Lori Larsen has never been known to take things easy. Mother of several, youth group leader, school board member and former school administrator has worn many hats through the years and in 2019 she got a new one. Larsen became the new auditor for Stevens County when she defeated Tim Gray in the 2018 general election. She is the first new person in the role in several decades. With a staff of 12 to oversee, Larsen said she has been easing into the job and has not tried to disrupt the way people have been doing their jobs for years under Gray. “I have been pleased with the reception from the staff and at the courthouse,” Larsen said. On Larsen’s resume before winning the election for auditor, she was serving within the Stevens County Republican Party the past five-and-a-half years in leadership positions such as secretary, vice chair and chairman. She currently serves as a precinct committee officer. 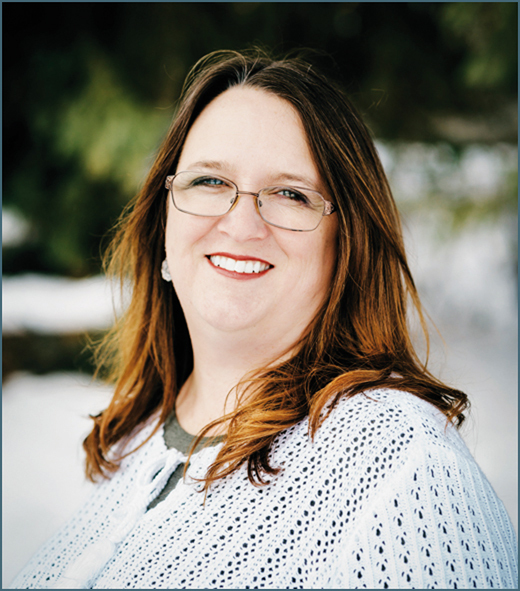 She was also an administrator in the Valley School District from 2003 to 2012, currently serves on the Chewelah School District Board of Directors and is in the final stages of her work on a PhD in public policy and administration. Now with a new position up in Colville, the Chewelah resident spends her days in the office from 7:30 a.m. to about five or six, which isn’t easy considering her other duties’. She’s taken time to go through files and other items in the office to become more familiar with the job. The auditor’s office oversees the licensing, elections, recording and pays the bills for the county. Larsen said she is trying to learn each person’s job well and wants to introduce cross training into the auditor’s office so staff can pick up any role when needed. This is inline with her goals before the election when she said she wanted to modernize systems, implement short and long-term plans for training, on-going professional development for employees, and cross-train employees working with the department. “With the right tools, the right preparedness and the right coverage in case an employee is out or a position is vacated, Stevens County residents can have the confidence that their taxpayer dollars are being handled respectfully, prudently and accountably,” Larsen had previously told The Independent. Larsen also hopes to work on getting a new software program for recording duties of the auditor’s office as she said the current system is old and not really supported anymore. This upcoming special election in February already has four school levies and a fire district measure on the ballot. While it’s a much smaller election, with only about 6,400 people getting ballots for the special election, than the normal general one in November, it is still important to those community members. It will be the first election that Larsen will help facilitate. With a supportive family, Larsen will serve the people of Stevens County for the next four years and is looking to improve and modernize what she can as people continually depend on the county office for services and reliability.